The growth of the SME sector in recent years has been tremendous and with the growth, the support of the government has increased too. 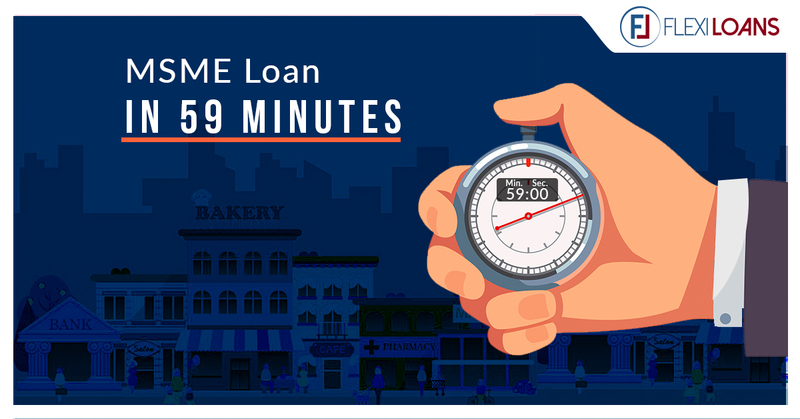 To make it easier, the Prime Minister of India gave a Diwali ift to all SME and MSME owners by starting an initiative of availing a loan in just 59 minutes. While 12 other initiatives have also been introduced this is the one that stood out the most and gained the highest traction. According to this initiative, loans up to the principal amount of Rs. 1 crore can be granted in a matter of 59 minutes if all the paperwork and procedure is carried out appropriately. e-KYC Paper – Just like a KYC form, the e-KYC form needs to be filled with all accurate details. Income Tax Details – Last 3 years Income Tax Returns in the XML format is required. Income Tax codes and e-filling are also required. Now with GST rolling on, GST details and GST Number has to be provided. Ownership Details – The details of the owner/board of directors has to be provided like personal details, educational details etc. The MSME 59 website aims to reduce the turnaround time of 20-25 days to just 59 minutes. This feature helps to encourage MSME entrepreneurs to increase their business growth without worrying about the capital requirement. This scheme works even better as no collateral is needed and is applicable to both new ventures as well as old established ventures. If followed properly, the 59-minute process is extremely effortless, easy to understand and user-friendly. The entire process is seamless and online, reducing paperwork and time lag. Just ensure that, before you start the process, all the documents that are required from your end are on your device and ready to upload. Also, ensure the Income Tax returns are in XLM format and bank statement in PDF format. If you have multiple members on board, ensure all the details of the directors are present with you like personal details such as name, address and telephone number. Also, ensure you have the educational and ownership details. Once you start the process you do not want to be stuck mid-way due to lack of some documents or documents in the wrong format. Lastly, just ensure you have your phon with you which has the registered number as there will be an OTP sent by the portal on the registered number. The first step is to go to the home page of the official website – https://www.psbloansin59minutes.com/home and complete the sign-up process. This will require your personal details such as your name, email id and mobile phone number. Once you have entered your mobile phone number, there will be an option for ‘Get OTP’, click on this. Once you have received the OTP on your registered email-ID, enter the valid OTP on the portal, click on the ‘I agree…’ box after reading all the terms and conditions and then click on the proceed button. On the next screen, you need to enter your GST details like name, registered number, username and password. Also, enter your GSTIN. Then move onto uploading tax returns in XML format and PAN card details. Next, you need to upload your bank account statements of the last 6 months in PDF format. If you do not wish to upload your statements, you can even log onto your net banking portal and complete the procedure from there. Post that, details about the directors will be asked which need to be filled such as name, address, D.O.B etc. Here you have to sight the reason and purpose for securing a loan and what you intend to do with the capital received from the loan. You also have to state all your previous loans taken for the business and the details attached along with it. This is one of the final steps to the MSME 59 minute loan. The government has given the MSME loan power to a few banks who can grant this loan to seekers. Here is a list of all the banks affiliated with the MSME loan process (scroll down to partner banks). Select the bank that best suits your needs. The last step to the process is to pay a convenience fee of Rs 1000 + GST. This is just a fee for the service provided to you and is non-refundable. That’s it! You are all done with the MSME 59 minute loan approval process and your approval letter will be ready to download. Post this, the process will take around 7-8 days for the money to reflect into your account. One should keep in mind that this process is just the sanctioning of a loan and not the disbursal of the money. If a bank is suspicious of your activities or all the details provided by you are not enough for them, they can still ask for more details and keep the procedure on hold. Ensure you are checking your email from time to time to track the progress of your application. The government is really taking quite a few initiatives to boost the SME and MSME sector in India as they heavily contribute to the economy capital wise and employment wise. 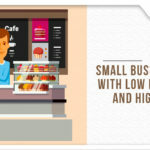 It is your duty as an MSME entrepreneur to take full advantage of all these initiatives and schemes by the government and advance your business.